Deadline for applications: June 16, 2017. 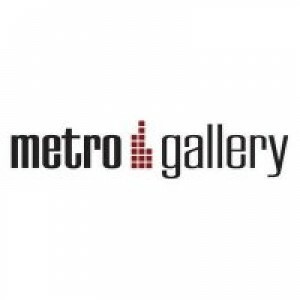 Metro Gallery is currently seeking window display artists. We are interested in changing our display seasonally and are opening up the submission process. Artists will be compensated for their work/time. Our window display is right on North Charles street and has very heavy foot traffic. Please email sarah@themetrogallery.net if you are interested! VisArts Galleries invites your students to apply for NextGen 4.0 in our Kaplan Gallery. NextGen features aspiring 17 to 27-year-old local artists who have little to no experience exhibiting their work in a professional gallery. NextGen offers these artists an opportunity to bring their artwork to the public and to experience this process. The exhibition was developed to address this demographic of artists which may include high school students, undergraduate students or recent grads who are uncertain about how to proceed with a career in art or what it takes to be an artist. The process to apply for an exhibition can be intimidating with little or no experience. Included in our application site are a number of resources to help your student create a competitive application and to develop their professional practices as an artist. We hope that you will encourage your students to apply to NextGen 4.0. The application deadline is June 1, 2017, 11:59 PM and the exhibition will take place July 21– August 20th at VisArts in Rockville, Maryland. You can find the application and more details on our website: www.visarts.submittable.com/submit/81402/nextgen-4-0. “Running on Empty” copyright David Avery, Grand Prize Winner of the 2016 National Small Works Competition.Call for Entries! The Town of North Beach is placing a call for entries for SUNRISE: A Celebration of the Arts which takes place Saturday, July 22, 20176 from 12 to 6 pm. The location of the event is along the beautiful Chesapeake Bay which borders Bay Avenue in North Beach, Maryland. 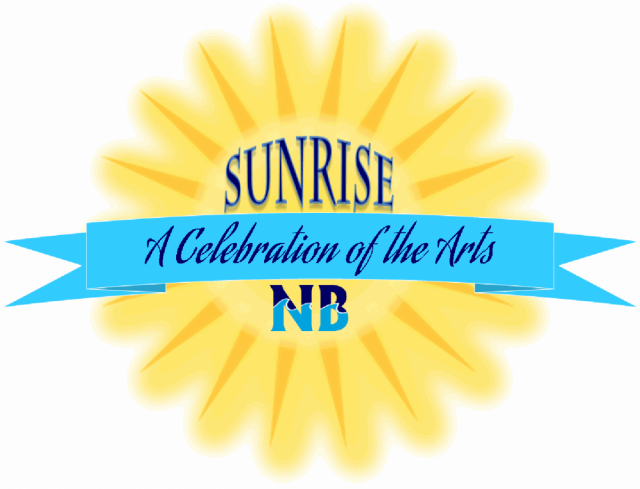 SUNRISE: A Celebration of the Arts is an OUTDOOR SCULPTURE COMPETITION and an ART FESTIVAL. Entries for the SCULPTURE COMPETITION and the ART FESTIVAL must be made separately. PRIZES WILL BE AWARDED! Please see the attached Call For Entries for complete details! ALL ENTRIES MUST BE SUBMITTED BY EMAIL TO NORTHBEACH@NORTHBEACHMD.ORG. SEE WWW.NORTHBEACHMD.ORG FOR MORE DETAILS. The Art Selection Committee of the Gertrude Howes Park Civil Rights Public Art Tribute project invites artists, also in collaboration with landscape designers, to forward public art qualifications for an innovative, permanent public art installation that will serve as a tribute to civil rights. The tribute is envisioned to be an abstract work of public art dedicated to the movement rather than a representation dedicated to individual persons or events. The selection process will lead to the identification of four artists/teams who will develop initial proposals for a $2,500 honorarium each for initial concept development and presentations. The anticipated budget is $200,000-250,000. Before joining BOPA I was a touring author. I had just written a book called “Provenance” and was on the book tour circuit. I started the book eight years ago, and it was published at the beginning of 2016. I’ve been a museum administrator working at the Smithsonian’s Hirshhorn Museum in D.C., and the Chrysler Museum of Art in Norfolk, Virginia. I was also a vice president for the Arts & Science Council in Charlotte, North Carolina. So I’ve spent the better part of two decades either raising money for the arts or working in the arts and directly raising money within an institution. So it’s been an interesting journey. I came originally from the corporate world. I was with AT&T and Young & Rubicam advertising. After getting some experience with some arts donations we did with Young & Rubicam, I decided I wanted to work in the nonprofit world. But my first job in the nonprofit world was with Sesame Street. I was their Director of Communications. I worked there for a couple of years until my husband took a position in Norfolk, Virginia and that’s when I joined the art community. What led to your decision to join BOPA? The mission [of BOPA] was the number one reason, and number two was the people. I always said if I take a position it has to be with people I want to hang out with every day. That was the overarching decision for me. As Chief of External Affairs, what is the main thing that you will be handling or will be focused on? My main areas are communications and development, and everything that that entails. 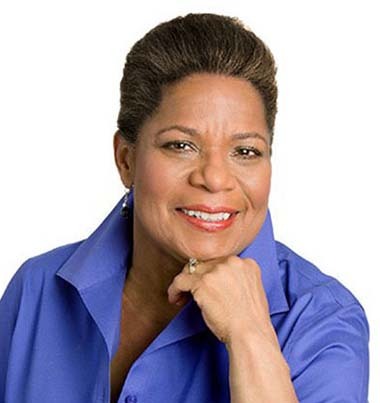 Right now my main objective is to find a new development director for BOPA. Really my first order of business is to see where we are and what is going on within the organization. With your help, where do you see BOPA in the next three to five years? I would like to see BOPA have a better brand. So that when you say BOPA, people know what you’re talking about, and anticipate that anything BOPA does is the level of quality that we have already established that they’re just not aware of. So my overarching objective is the branding of BOPA not only in Baltimore, but nationally and internationally as well. Because we have great product, people just don’t know it’s ours. As I said, I started off in advertising with Young & Rubicam, and one thing about working at a Madison Avenue advertising agency is it’s all about brand. You wrote the book “Provenance” in 2016 and the main character in your novel is an art collector in the 1930s. Tell me more about the storyline. “Provenance” is about a young man who finds out at the age of 17 he isn’t who he thought he was. He grew up believing he was a wealthy, privileged young white boy and then his father was hurt in an accident; and as he was dying told his family he had been passing all these years. It starts in 1917 when you find out why the father did what he did and then in 1930 is when the young man finds out who he really is. He flees to Europe because he lives in Richmond in the segregated South, and then he gets in with the art crowd in Paris in between World War I and World War II and becomes a renowned art collector. It’s really a coming of age story and it’s also a story about how art heals. The main character’s name is Lance Henry Withers, and his timeline is filled with historical characters that are real and mixed with fictional characters. Was “Provenance” your first novel? Yes. I had never written fiction before. I had this idea in my head and was like, ok this is a book. There was a writing center in Bethesda where I lived, so I just signed up for a class: “Advanced Novel Writing and Memoir” – and I had never written fiction. I had written plenty of non-fiction before – a lot of press releases, white papers, backgrounders, everything – but never fiction. I had to have 35 pages of a working novel to get into this class. So I sat down and wrote 35 pages and got into the class, and from there, the book came. I found five other writers who were about the same stage I was, we formed a writing group, and we shepherded each other through our books. I think in order to be a good writer observation is key, but that’s also true with art, communications, and development. What is your favorite event that BOPA produces? Or your favorite location that BOPA manages? Well, it’s gotta be Light City right now. I think what I like the most about Light City is how much of the arts it encompasses. It’s the intellectual part with the Labs; the visual part with the art; it’s the community – all the things that the arts do for a place or people, Light City does. So I have to say, so far, I like it. I like that all of BOPA’s programs are so inclusive. Having worked at the Hirshhorn which was very exclusive – this is my preference. I want to see how art touches people. Walking around the harbor and seeing people react to the art installations was just addictive. The only thing I like better than that is talking to the artists, and them telling me what they’re experiencing and how they’re communicating that to the rest of the world.